MGI'18 makes the News in Malaysia and Indonesia! 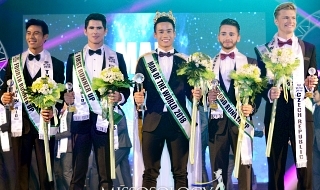 The self-proclaimed top3 pageant in the world finally made it in the news, not in Myanmar though, but in Malaysia and Indonesia. Sadly its due to another controversy! And if we're to be candid about it the news were not really about MGI but about an outfit. Miss Grand Malaysia 2018 Debra Jeanne Poh's batik outfit has Indonesian social media users crying foul over its origins. MGM 2017 Sanjeda John added fuel to the fire by uploading an Instagram story saying that Indonesians were being ‘stupid’ about the matter. “Gosh, they even want to claim Malaysian batik. My God, please forgive their stupidity,” she wrote. I still cringed whenever I remember that video showing a former title holder making a mockery of the pageant's anti-war advocacy and of course the list of controversies involving the pageant and its owner. Then at a time when I am actually hoping that MGI will be free of controversy, another one erupted and this time involving a National costume and a former MGI contestant that obviously learned nothing from her participation in the said pageant which in the entirety of its existence NEVER WALK THE TALK and uses a cause merely to camouflage its vapidness and only for good soundbites and praise release. 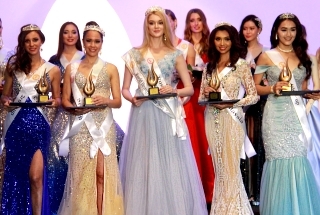 Had the international pageant stands true and allocate some times to teach its contestants ways to practice its advocacy instead of useless loitering on the streets of their host country or senseless photo-shoots; MGI could have transform their girls into builders of peace instead of war mongers. Re: MGI'18 makes the News in Malaysia and Indonesia! Well, to be fair to MGI, it is the candidate who should be blamed here, not the organization. 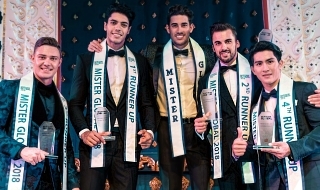 MGI cannot and wouldn’t be able to control the behavior of its candidates and their actions should be pinned on them alone I think (except when you are already the crowned one).